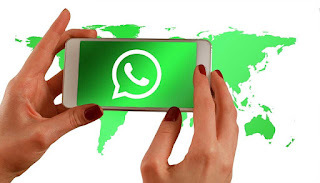 Hide the profile picture in WhatsApp is something possible if we know what to configure in the application. It is part of our privacy and we must know how to safeguard it. Especially when we put pictures of ourselves or our family. It is not recommended that anyone can have according to what information. You have to know how to cure yourself in health so you do not have to complain. The profile picture is - basically - a way by which others can recognize us. It is true that it is then used for many other purposes, but that is the main one. That is why many of us place our face or that of loved ones. Who does not want to show how well the disguise is for our nephew? We enter the WhatsApp application. We give the icon of the three points at the top right to access the settings. Once there we give "Account" and then "Privacy". We look for "Profile picture" and we enter there. What you will see here is important, because it depends on what you put, you will determine who can see your photo. - All: the image will be available to anyone who has our number. - My contacts: you can only see the photo that we have added to our agenda. - Nobody: the word does not leave much to the imagination, with it we are going to hide the profile picture of whatsapp .